The Outsiders by S.E. Hinton is about two rival groups known as the Greasers and the Socs. The Socs, a group of rich kids with everything they could dream of, commonly pick on and beat up the Greasers. Ponyboy, the main character, learns to live with the Socs always breathing down his neck. However, one day the Socs take things too far. While Ponyboy is at the park with his friend Johnny, Socs show up and beat them per usual. However this time, they hold Ponyboy’s head under a fountain. Johnny watches helplessly as he tries to figure out what to do. Finally Johnny gets out his switchblade and stabs the Soc that was drowning Ponyboy. 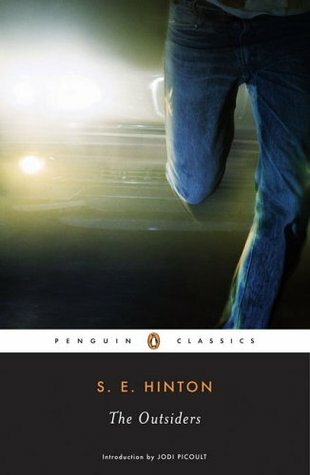 The Outsiders by S. E. Hinton is available for checkout from the Mission Viejo Library. It is also available to download from Overdrive. If you can visit Oklahoma back in the 1980s, you might have seen the gangs called the Greasers and the Social. Greasers, earn their name from the grease used to style their hair–enough to supply you to cook with for about two days. Life is unfair? No, it’s just too far to the Social, for their parents feed them money every day so that they are too full to stand up, walk to the fridge and grab a piece of bread to eat as lunch. Ponyboy Curtis, whose parents died when he was little, lives with his two older brothers, Sodapop and Darry. One day, after going through a drastic fight with his brother, he ran away to the park with his friend Johnny. After witnessing the frantic Johnny killing a Social member, a rival gang, Ponyboy realized that life is going to smash him as hard as it can on the face. I was very intrigued by this book that I couldn’t put it down for a second. But it’s absolutely incredulous to imagine teenagers killing somebody but still survive after all these streaks of dangerous events. But if it’s me, I’d rather behave well and listen to my older brothers because they are my only family members and I know that they love me so much like my parents. 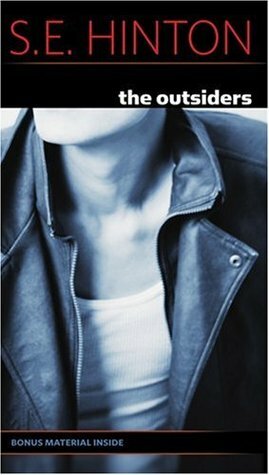 The Outsiders by S. E. Hinton is available for checkout from the Mission Viejo Library. It can also be downloaded from Overdrive.